We all know that goals are important. We are told our whole lives that if we want to be successful in life we must have these nebulous things called goals. We must create them, set them and accomplish them. This is our mission if we are type-A, driven and yearn for success in our lives. We learn the basic construction of a goal in school and we noticed how much praise we get if we accomplish our goals (or goals set forth for us by others that we want to please such as parents, teachers, etc.). So, we set more goals and set out to accomplish them. We get more praise. Now, the positive feedback loop is set. We will be goal-setters for much of our lives because we have found that there is positive rewards and success that come for those that accomplish their goals, but, wait a second…. Aren’t we missing something? Are we just hamsters on the goal-setting and achieving wheel? 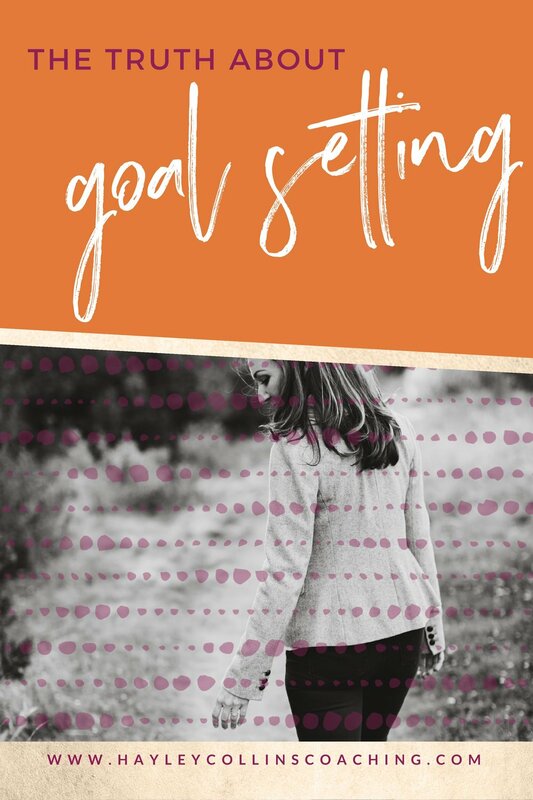 The goal setting complex has invaded every part of our life - self-care, marriage, spirituality, friendships, exercise, school and, most definitely, our work lives. But, I am betting that you are like me. While goal setting and accomplishing feels addicting because you love checking off those small goals on your to-do list, you realize that your to-do list is never ending which leaves you frustrated, trying to work faster, and ultimately, totally exhausted without the sense of real accomplishment that you were hoping for. As a CEO, goals are imperative to our success. We must set goals and accomplish them as our performance is measured by them. Okay. We can accept that. We knew that getting into this position. But, how are we actually supposed to accomplish the zillions of goals we have each day, each week, each month, each year...not to mention our vision for our lives?! There are too many goals to accomplish and not enough hours in the day. And, yes, we know that Obama and Beyonce have the same 24 hours in a day, but they have staff...lots and lots of staff to help them get everything accomplished...and probably loads more money than we do at this point, so...not sure if they are comparable. But, aren’t they?! What if I told you that by simply making a few minor adjustments to your goal setting strategy, you could actually gain time in your day? What if I told you that we learned to set goals all wrong, especially as women? What if I told you that we need to honor our feminine need for ebbing and flowing, just like our bodies remind us each month, in our goal creation? What if I told you that you could actually get more of the important stuff done and have more time for doing the activities that nourish you? Well, you can have those things. Goal setting and actually accomplishing those goals. Knowledge that you actually accomplished your main goals. More ease around accomplishing your goals. Time with your family, friends and for yourself. Yes, this really IS all possible. Are you ready to learn how, so you can change your life? Then join my free Rock Your Leadership 5-Day Challenge happening this week. I’m going to show you exactly how to accomplish everything you’ve been dreaming about. Did I mention it's FREE? Click here to save your seat!